Wind Warnings for the Southern Avalon have ENDED. 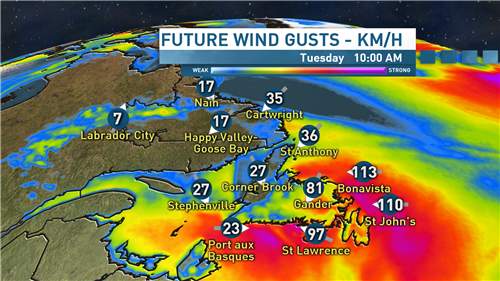 Wind Warnings have been CONTINUED for the Northern Avalon, the Northeast Coast and the Northern Peninsula. In Labrador: Snowfall Warnings CONTINUED for inland areas of SE Labrador. Winter Storm Watch CONTINUED for the Upper Lake Melville area. All Watches and Warnings here. Latest Satellite/Radar. The Rain has cleared off of the Avalon and the Sunshine is breaking through in behind. Showers with high elevation wet snow along the West Coast! 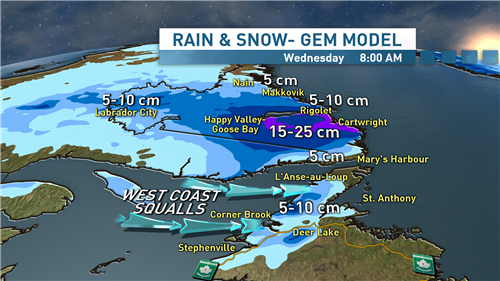 Parts of Labrador could see 15-25 cm by AM Wed. 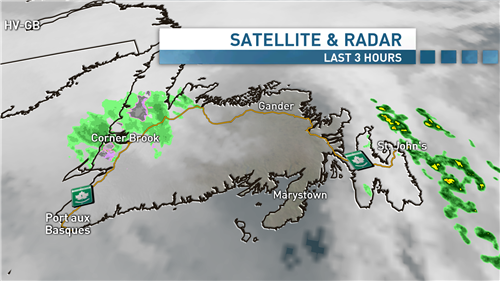 Heads up West NFLD. Snow Squall machine fires up Tuesday Eve! A bonus November rumble of Thunder in Metro last night & now a fantastic Sunday on the way. Best of both #nlwx worlds! Enjoy the Sun! #nlwx RT @hydroqueen: @CHOZFM thunder rolling in Seal Cove Fortune Bay this am. 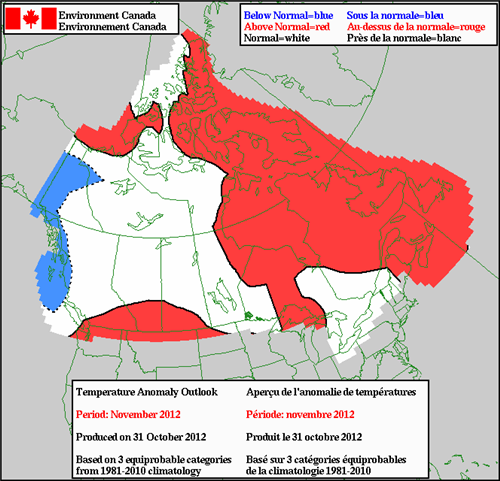 As expected, October was warmer than normal right across NL. Lab City was 2.7° warmer than normal. HV-GB: 2.4° warmer than avg. NFLD: Deer Lake was 2.7° warmer than normal, Gander was 2.5° warmer than avg & St. John's: 2.4° warmer than avg. Happy Valley-Goose Bay has ended October with 156.8 mm of rainfall. This breaks previous Oct rainfall record of 132.8 mm set in 1968. 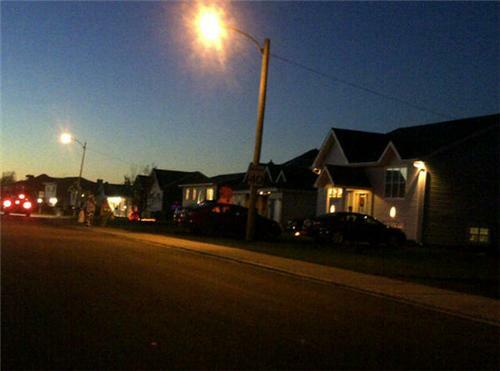 Total precipitation (rain plus melted snow) in HVGB in Oct 2012: 168.0 mm. This breaks old Oct record of 152.1 mm set in 1966.